Welcome to Santa Rosa Towers! This beautiful condominium complex sits right on Pensacola Beach in Gulf Breeze, with a number of luxury and benefits that’ll have you wanting to move in permanently! 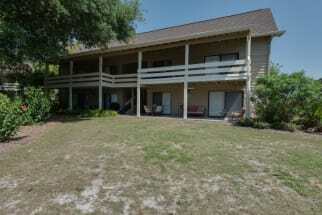 Emerald Coast by Owner is proud to offer you a number of amazing condos for vacation rental here. While you stay, you can enjoy the private balcony, the community pool, amazing scenery and convenient location. However, outside of this complex there is still so much more for you to benefit from! People from around here love to go parasailing, deep sea fishing, paddle boarding, diving charters, Gulf Breeze Zoo, Boat Tours, spas, racing go karts, water parks and amusement parks, golfing and so much more! When it comes to shopping, be sure to check out Dolphin Square shopping mall for all you could want or need! Lastly, don’t miss a meal around here! There are so many excellent seafood and traditional spots with and without bars! The food down here is outstanding, so don’t regret not trying it! A few awesome places we think you might enjoy are Aegean Breeze, La Brisa and The Fishing Hole! Come on down and treat yourself right, you won’t regret it! Book your next family vacation with Emerald Coast by Owner and Gulf Breeze Santa Rosa Towers vacation rentals. When you book with Emerald Coast by Owner, we make it easy for you to choose where, when, and what you want to do on your trip. Contact us with any questions!